Your personal vision statement guides your life and provides the direction necessary to chart the course of your days and the choices you make about your career. Your personal vision statement is the light shining in the darkness toward which you turn to find your way. It illuminates your way. Obviously, I am a huge fan of personal vision statements. Write yours as the first step in focusing your life – for your joy, your accomplishments, your contribution, your glory, and for your legacy. Use these questions to guide your thoughts. •What are the ten things you most enjoy doing? Be honest. These are the ten things without which your weeks, months, and years would feel incomplete. •What three things must you do every single day to feel fulfilled in your work? •What are your five-six most important values? •Your life has a number of important facets or dimensions, all of which deserve some attention in your personal vision statement. Write one important goal for each of them: physical, spiritual, work or career, family, social relationships, financial security, mental improvement and attention, and fun. •If you never had to work another day in your life, how would you spend your time instead of working? •When your life is ending, what will you regret not doing, seeing, or achieving? •What strengths have other people commented on about you and your accomplishments? What strengths do you see in yourself? •What weaknesses have other people commented on about you and what do you believe are your weaknesses? Once you have thoughtfully prepared answers to these questions and others that you identify, you are ready to craft a personal vision statement. Write in first person and make statements about the future you hope to achieve. Write the statements as if you are already making them happen in your life. Some experts recommend 50 words or less, but I would rather see you fully articulate the vision you want for your life and your future, than be limited by word count. Motivational speaker and writer, Brian Tracy, states that you generally accomplish your written goals, dreams, plans, and vision. Writing them down lends power and commitment to their accomplishment. Keep in mind that your personal vision statement can also change over time, depending upon what is happening in your life. You will be amazed, however, at how many components remain consistent over time. I first articulated this vision for my life in 1984; this personal vision statement guides my life. My own personal vision statement includes such items as reading and writing every day; publishing books; sharing a lifetime of knowledge about people, management, and workplaces with a vast international audience; having a positive impact on every person with whom I come in contact; living daily a life dedicated to integrity, commitment, challenge, and joy; loving my husband and valuing my marriage; valuing a few close friends; valuing family relationships; being at all times aware of and engaged in my natural environment; inventing and writing about recipes and food; traveling the world to experience its richness; watching plays and movies; listening to music; never having to worry about spending money on anything I want; and walking by Lake Michigan. When I live and experience the components of my personal vision frequently, I feel inner peace and joy that knows no bounds. Your personal vision statement will have the same impact for you. 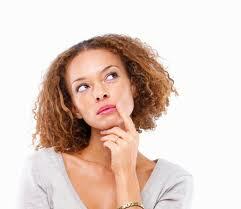 Take the time to formulate answers to the above questions, and write your personal vision statement. 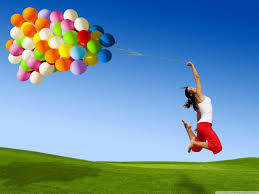 Then, listen to your heart sing with the fullness of your articulated dreams. The average mobile consumer checks their device 150 times a day! In May of 2013, KPCB’s Partner and world-renowned analyst Mary Meeker shared her latest Internet Trends Report. In that report, Ms. Meeker shared an interesting stat: “The average mobile consumer checks their device 150 times a day”. That number raised a few eyebrows and led many analysts to question the difference between existing smartphones and highly anticipated “Wearables”. In this report, we have used data from Flurry Analytics to analyze the behavior of consumers that heavily use their smartphones or tablets, a segment we refer to as the “Mobile Addict”. 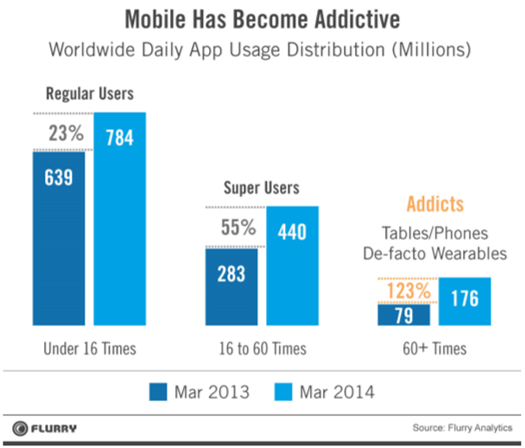 We have defined a “Mobile Addict” as a consumer that launches apps more than 60 times per day. Looking at data Flurry sees from 500,000 apps across 1.3B devices as of March 2014, we know that on average, a consumer launches apps 10 times per day. 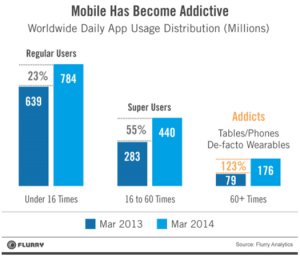 So we have defined a “Mobile Addict” as someone who launches apps 6 times more per day than the average. The chart below shows the year-over-year growth in usage, across all segments of mobile app users. The Mobile Addict segment is growing the fastest, posting 123% growth between 2013 and 2014. 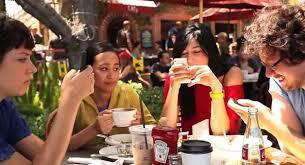 In March of 2014, there were 176 million Mobile Addicts, up from 79 million in March of 2013. That is astonishing growth in a single year. This compares to 55% growth for a category we’re calling Super Users and 23% for Regular Users, who launch apps 16 times or less per day. We dug deeper into the Mobile Addicts segment to better understand that audience. 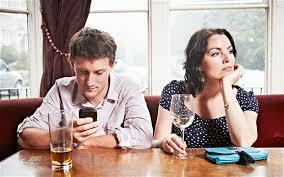 Mobile Addicts were 52% female and 48% male, compared to 48% female and 52% male for an average mobile users. That means females over-index 8% compared to the average mobile user. The 8% number appears small, but it is significant: In the total Mobile Addict population of 176 million, it means that there are 15 million more female Mobile Addicts than male Mobile Addicts. 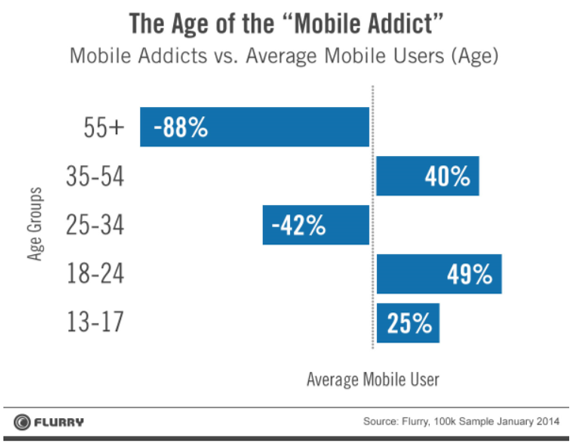 Now looking at age, the Mobile Addict segment over indexed on the 13-17 (Teens), 18-24 (College Students) and 35-54 (Middle Aged) age segments. In fact, Middle Aged consumers constituted 28% of Mobile Addicts, but only constituted 20% of the average mobile consumer. The Addict segment under indexed on 25-34 (adults) and 55+ (seniors). The analysis gets even more interesting when you dive into the differences among Flurry Personas. On the female side, the following Personas over-indexed as Mobile Addicts: Moms, Parenting & Education, Gamers and Sports Fans, in that order. For Males, the following Personas over-indexed as Mobile Addicts: Auto Enthusiasts, Parenting and Education, Gamers and Catalogue Shoppers. The “Over-Index” is shown in the chart below. It refers to the division of the percentage reach of that Persona in the Mobile Addict segment compared to the percentage reach of that Persona for the average mobile consumer. For example, in the male Mobile Addict segment, Auto Enthusiasts are 26% of the total, while for the average male mobile consumer Auto Enthusiasts are just 3% of total. In other words, male Mobile Addicts are much more likely to be Auto Enthusiasts than non-Addicts. Looking at the three charts above, we are starting to form a relatively clear picture of a Mobile Addict. Teens, College Students (skewing females) and Middle Age Parents. We were not surprised by teens being part of the group. Their youth coincided with the mobile revolution – they are not just accustomed to mobile, they expect their mobile device to handle nearly every type of task and communication. The same is true for college students who are noticeably avid users of messaging and gaming apps. We were also comfortable with young adults under-indexing. They have just entered the workforce, are predominantly single and are likely out and about more often than older and younger segments. What surprised us most was the over-indexing of the middle-age segment and by a margin that beats that of teens. But when we inspected the Personas of that segment and their app usage, we came to the conclusion that these middle-aged consumers are probably part of a family and their devices are likely shared among multiple family members, including their children. Males and females in the Middle Age segment both over-indexed on parenting and education. Males over indexed as Catalogue Shoppers and females over indexed on Sports. The picture we formed is a family of four, with two phones, one tablet, and all three devices shared by the family for education, entertainment and more utilitarian functions as well. Mobile Addicts launch apps over 60 times per day, making them consumers that are effectively wearing their devices. This analysis of the Mobile Addict should give us a sneak preview into the make-up of early-adopters of Wearables, and what types of apps and experiences will resonate with them. To date, many applications for Wearables have focused on fitness and health, but thinking about what’s next, developers should think about the other experiences that will delight the people who need to be connected all the time. This includes Teens, College Students and Middle-Aged parents who are interested gaming, autos, sports and shopping, and who may have a constant need to entertain or educate their children. After all, the people who we consider “Mobile Addicts” are already essentially wearing their devices 24/7/365. Do you want to quickly find and meet contacts related to your industry? Are you looking for ways to establish a long-term relationship with those connections? It can be tough to make first contact without coming on too strong. But if you engage with someone before you pitch and let them get to know you a little bit, you have a better chance of creating a solid relationship. In this article I’ll show you four ways you can use social media to meet market influencers and expand your network. Even if you live in the middle of nowhere (like me) you can build a network of influential colleagues. How great is it that we live in a time where you can meet anyone from anywhere without leaving the comfort of your office? The usual networking methods still apply, of course: attending conferences, joining or starting mastermind groups and meeting friends of friends. But social media opens a larger sphere of opportunity. Below I show you how Facebook, Twitter and LinkedIn—and a combination thereof—ensure your first interaction with a potential connection is a lasting one. Given that half a billion people use Facebook, there’s a very good chance you’ll be able to find networking opportunities there. To start your search, use Facebook’s graph search to find potential friends by using the People I May Know option. This works best if you already have business contacts on Facebook. When you find someone interesting, see who your mutual friends are and use that as leverage to explain to them why you should connect. Don’t be afraid to ask a mutual friend for an introduction. If you’re not comfortable messaging someone you don’t know (or don’t want to risk your message ending up in the Other folder), then follow them or like their business page and interact with them there. Take advantage of Facebook groups. They provide a more open forum to introduce yourself as part of the group and an opportunity to show that you have something in common. Now that you’ve made some new Facebook contacts, it’s easier to connect with them on other networks like LinkedIn, because you’ve already established a relationship. LinkedIn is tailor-made for professional networking. Profiles are important, of course, but LinkedIn groups are key to meeting influencers in your market. LinkedIn suggests groups to you based on the experience you showcase in your profile. 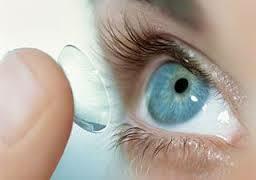 These suggestions are a good place to start your search for new contacts. You can also search for specific people or find groups related to a keyword. Groups give you access to like-minded professionals and market influencers in your niche. When you join, become a valuable asset by asking thoughtful, relevant questions and answering those of others. When you’ve established a relationship with members via the group, they’ll usually be more than happy to connect with you because they are familiar with you, your expertise and the value you can bring to them. It’s not too hard to network on Twitter because it’s easy to find people and jump right into a conversation or chat. It doesn’t matter if someone has more followers than you. Chances are they’re happy to meet you and are just as interested in networking as you are. Don’t be shy! Ask questions or comment on a recent tweet. Retweeting someone’s content or starting a conversation around it can open doors you didn’t even know existed. As long as you’re adding value to the discussion, it’s likely that person will reply (or maybe even follow you). You’re more likely to hear back from someone if you reach out to them on multiple social sites. Don’t get discouraged if you have to try to engage a few times. We all get buried in email, Facebook notifications and Twitter alerts. Be mindful that it may take a while for someone to respond. If he or she doesn’t get back to you in a few hours, don’t keep following up; allow some time. There is a fine line between being persistent and being annoying. Know that boundary. That’s not to say following up is bad. I once had a fan ask me to watch one of his videos. Since we had connected before, I was familiar with him, and I thought his request was reasonable. But my busy schedule got in my way and I didn’t get around to watching it. He followed up again with a reminder, and I appreciated it. But then he followed up four more times and the boundary was crossed. Networking through social media is a great way to build up your professional contacts and essential to growing your network. Nearly everyone has a social outlet they use regularly. Finding and connecting with influencers on those outlets gives you both a chance to get to know one another without the hard sell. Networking is an ongoing process, but each key person in your network can change your future. Take time to find that person today! What do you think? How have you used social platforms to start a conversation? What networks have helped you build your circles and make connections? Leave a comment with your experience or advice. Trenden att vara ständigt uppkopplad och nåbar på mobilen har nått ända in i badrummet. Fyra av tio tar med sig sin smartphone när de går på toaletten, visar en ny undersökning. I snitt spenderar svensken 15.49 minuter inne på toaletten varje dag. Men en ny undersökning om våra badrumsvanor avslöjar att det inte bara handlar om de nödvändiga bestyren. 23 procent – mest män – svarade att de har med sig sin surfplatta eller smartphone under själva toalettbesöket, i åldrarna 18-34 år hela 40 procent. Var femte svensk svarade att de brukar mejla, och 11 procent brukar sms:a från badrummet. Vanligast är dock att ta med sig en god bok eller tidning för att förgylla tiden på tronen. För att öka komforten ville många ha både musik och en teve installerad i badrummen. När det gäller hygien är toaletter med beröringsfria spolplattor på uppgång. Däremot verkar inte renhetsivern prioriteras av alla. 18 procent av svenskarna uppgav att de inte tvättar händerna efter toalettbesöket. Undersökningen har gjorts av sanitetsföretaget Geberit i samarbete med analysinstitutet YouGov. Totalt har 4.000 personer svarat på frågor om sina badrumsvanor. 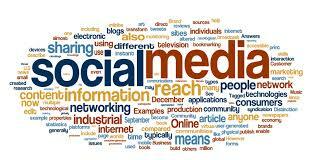 Snippets of information, often hidden in social-media streams, offer companies a valuable new tool for staying ahead. As information thunders through the digital economy, it’s easy to miss valuable “weak signals” often hidden amid the noise. Arising primarily from social media, they represent snippets—not streams—of information and can help companies to figure out what customers want and to spot looming industry and market disruptions before competitors do. Sometimes, companies notice them during data-analytics number-crunching exercises. Or employees who apply methods more akin to art than to science might spot them and then do some further number crunching to test anomalies they’re seeing or hypotheses the signals suggest. In any case, companies are just beginning to recognize and capture their value. Here are a few principles that companies can follow to grasp and harness the power of weak signals. 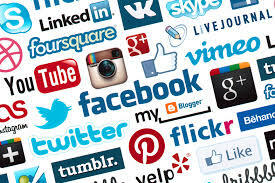 For starters, given the fluid nature of the insights that surface, it’s often useful to get senior leaders actively involved with the social-media sources that give rise to weak signals. 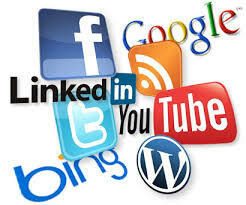 Executives who are curious and attuned to the themes emerging from social media are more likely to spot such insights. For example, a global manufacturer whose high quality and low prices were the topic of one customer’s recent social-media post almost certainly would not have examined it but for a senior executive who was a sensitive social “listener” and found its implications intriguing. Did the company have an opportunity, the executive wondered, to increase prices or perhaps to seek market share more aggressively at the current prices? To find out, the executive commissioned research to quantify what had started out as a qualitative hunch. Ultimately, the low-price perception turned out to be an anomaly, but the outsize perception of the product’s quality was widely held. In response, the company has started funneling marketing resources to the product in hopes of building its market share by capitalizing on its quality and differentiating it further from the offerings of competitors. Weak signals are everywhere, of course, so deciding when and where to keep the antennae out is critical. One such situation involves a product, market, or service that doesn’t yet exist—but could. Consider the case of a global advertising company that was investigating (for one of its clients) a US growth opportunity related to child care. Because no one was offering the proposed service, keyword searches on social media (and on the web more broadly) wouldn’t work. Instead, the company looked to social-media platforms where it might find weak signals—finally discovering an online content service that allows users to create and share individualized newspapers. In the child-care arena, digital-content channels are often curated by mothers and fathers, who invite conversations about their experiences and concerns, as well as assemble relevant articles by experts or government sources. Analysts used semantic clues to follow hundreds of fine-grained conversations on these sites. The exercise produced a wealth of relevant information about the types of services available in individual markets, the specific levels of service that parents sought, the prices they were willing to pay, the child-care options companies already sponsored, the strength of local providers (potential competitors), and the people in various communities who might become ambassadors for a new service. This wasn’t a number-crunching exercise; instead, it took an anthropological view of local child care—a mosaic formed from shards of information found only on social media. In the end, the weak signals helped the company to define the parameters of a not-yet-existing service. It’s also useful to search for weak signals when customers start engaging with products or services in new, tech-enabled ways, often simply by sharing perceptions about a company’s offerings and how they are using them. This can be hard for companies to relate to at first, as it’s quite removed from the usual practice of finding data patterns, clustering, and eliminating statistical noise. Spotting weak signals in such circumstances requires managers and employees to have the time and space to surf blogs or seek inspiration through services such as Tumblr or Instagram. As intangible as these techniques may sound, they can deliver tangible results. US retailer Nordstrom, for example, took an early interest in the possibilities of Pinterest, the digital-scrapbooking site where users “pin” images they like on virtual boards and share them with a larger community. Displayed on Pinterest, the retailer’s products generate significant interest: the company currently has more than four million followers on the site. Spotting an opportunity to share this online engagement with in-store shoppers, the company recently started displaying popular Pinterest items in two of its Seattle-area stores. When early results were encouraging, Nordstrom began rolling out the test more broadly to capitalize on the site’s appeal to customers as the “world’s largest ‘wish list,’” in the words of one executive. The retailer continues to look for more ways to match other customer interactions on Pinterest with its products. Local salespeople already use an in-store app to match items popular on Pinterest with items in the retailer’s inventory. As the “spotting” ability of companies in other industries matures, we expect visual tools such as Pinterest to be increasingly useful in detecting and capitalizing on weak signals. As the Nordstrom example demonstrates, listening for weak signals isn’t enough—companies must channel what’s been learned to the appropriate part of the organization so the findings can influence product development and other operational activities. Interestingly, TomTom, a company that offers products and services for navigation and traffic, found that the mechanism for spotting weak signals proved useful in enhancing its product-development process. As part of normal operations, TomTom monitored social media closely, mining conversations to feed into performance metrics for marketing and customer-service executives. The normal process changed after an attentive company analyst noted that users posting on a UK forum were focused on connectivity problems. Rather than let the tenuous comments get lost in the company’s performance statistics, he channeled them to product-development teams. To resolve the issue, the teams worked directly—and in real time—with customers. That helped short-circuit an otherwise costly process, which would have required drivers using TomTom’s offerings to check out connectivity issues in a number of locales. The broader payoff came in the form of new R&D and product-development processes: TomTom now taps directly into its driving community for ideas on design and product features, as well as to troubleshoot new offerings quickly. At most companies, weak signals will be unfamiliar territory for senior management, so an up-front investment in leadership time will be needed to clarify the strategic, organizational, and resource implications of new initiatives. The new roles will require people who are comfortable navigating diverse, less corporate sources of information. Regardless of where companies observe weak signals, the authority to act on them should reside as close to the front lines as possible. Weak signals are strategic enough to demand top-management attention. They are sufficiently important to the day-to-day work of customer-service, technical-development, and marketing teams to make anything other than deep organizational engagement unwise. About the authors: Martin Harrysson is an associate principal in McKinsey’s Silicon Valley office, where Hugo Sarrazin is a director; Estelle Métayer, an alumnus of the Montréal office, is an adjunct professor at McGill University, in Montréal. Det här ska man undvika som arbetsgivare! Om din arbetsgivare frågar om du snart ska bli förälder eller kommenterar ditt utseende på ett sätt som du inte uppskattar. Då kan det röra sig om diskriminering. Här är tabbarna som arbetsgivare inte får göra. 1. Ge kvinnor med samma arbetsuppgifter som män mindre lön på grund av de är kvinnor eller vice versa. 2. Inte anställa en person på grund av att hen är transperson. 3. Undvika att kalla någon till intervju, trots bra meriter, på grund av att personens namn inte klingar svenskt. 4. Kalla någon för ”fjollan” eller ”bögen” eller något annat som gör att personen tar illa upp. 5. Inte ge någon en högre tjänst på grund av att personen använder rullstol. 6. Inte ge någon en chefstjänst, trots rätt meriter, med motiveringen att personen är för ung. 7. Inte låta en person få lönerevision på grund av att hon eller han är föräldraledig. 8 Avbryta en provanställning på grund av personens graviditet. 9. Ställa frågan ”har du aids?” på en anställningsintervju på grund av att arbetssökanden är afrosvensk. 10. Låta anställda bara får ta med sig sina partners på personalfester om de är av motsatt kön. 11. Betala lägre lön till en person med synnedsättning än till andra anställda på grund av personens funktionsnedsättning. 12. Kommentera någons utseende på ett sätt som personen inte uppskattar. 13. Fråga om någon är gravid eller planerar att snart bli förälder. Källa: DN.se, 16 april, 2014 och Diskrimineringsombudsmannen. IT-jätten har knappt hunnit lansera sina datoriserade glasögon förrän nästa spektakulära idé sjösätts. Den här gången vill Google tillverka en kontaktlins med inbyggd kamera – som manövreras genom blinkning. Idén som Google har sökt patent på kan vara till hjälp för blinda människor, tror företaget. I patentansökan beskrivs ett exempel där en person promenerar på trottoaren och kommer fram till en korsning. Med Google-linsen i ögat skulle kameran kunna registrera en åkande bil som innebär en fara för fotgängaren, och skicka en ljudlig varning till personens mobiltelefon, skriver Huffington Post. Mikrokameran är enligt skissen placerad i linsens nederkant. Enligt ansökan skulle linsen också kunna förses med övermänskliga egenskaper som ett utvidgat perifert synfält. 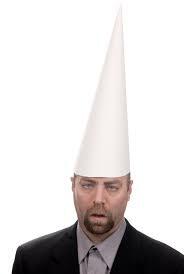 Want to know five dumb things that managers do that could be avoided with the use of a little common sense? We looked at five mistakes managers make managing people earlier. These behaviors and approaches have common sense solutions, too. Here are five dumb things managers do and the recommended actions they need to take instead. •Take credit for the project or an employee’s idea or plan. Smart managers learn quickly that one of the most significant forms of employee acknowledgement and recognition occurs when a manager gives credit – publicly – where credit is due. On the flip side, managers who consciously or unconsciously take credit for an employee’s idea, completed project or contribution, are universally despised. And the reality is, the credit-grabbing manager is fooling nobody. The manager’s job, by definition, is to get things done through people. No one expects that all the brilliance is the manager’s. In fact, managers who can bring out the brilliance in others are cherished. Managers look like good managers when their reporting staff succeeds. In a worst case scenario, employees will begin withholding ideas, wait until witnesses are present to share potential solutions, and make sure that they address the idea with the manager’s boss, just to ensure that they receive credit. Your boss’s reaction? He wonders why your employees won’t talk with you. •Make rules to control the actions of a few employees that must be extended to the many. You will always have problem employees and smart managers address the problems directly with the problem employee. Unthinking managers make up new policies and make everyone accountable for adhering to the new policies – whether their performance was problematic – or not. And, the employees who have the problem hide out in the crowd, fail to take the criticism to heart and rarely reform their behavior. For example, in a high school, the principal became increasingly upset with a few teachers who persistently arrived late to work and were unprepared to teach their first session. Or worse, they were not there on time to supervise their students. He began by yelling about attendance at every staff meeting. When his yelling created no improvement, he yelled louder and threatened the entire teaching staff with suspension. Then, he created a sign-in list in the main office and required teachers to sign in and out daily so he could monitor them. This caused, on a daily basis, teachers who formerly entered the building by the door convenient to their classroom, to make two unnecessary treks to the office each day. Several had to make child care changes and all felt as if they were not trusted. The sign-in list was a true morale buster the entire school year and the behavior of the miscreants never changed. •Keep the wrong people – for too long. Managers know fairly quickly that a new employee may not be a good fit for the organization’s needs. But, managers hesitate to address the problem quickly and decisively. They dislike conflict, delude themselves into believing the employee will improve with training, or dread the recruitment and resultant time investment in finding a replacement. They also hate to look like they made a bad choice. No one likes to be wrong. But, wrong becomes right when a manager quickly addresses a bad employment decision or match. In a recent email, a manager told this sorry tale. He hired an employee who had repeatedly demonstrated an unwillingness to abide by the company safety rules. 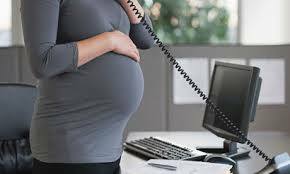 Within the first 60 days of employment, the employee had received two written warnings. On the day he wrote to me, the employee disobeyed another safety rule and broke his ankle. The organization had decided to fire this employee, but they let the situation go on too long. Now they have a mess, a worker’s comp claim, an injured employee, a safety recordable accident, consultation with a lawyer, and all the immeasurable time and attention that addressing the situation will require. •Make promises that you can’t – or won’t – keep or promises that have conditions attached that you don’t share. Employees take managers at their word and they are willing to listen and give credence to a manager’s promises one time. If they’re burned, they won’t trust the manager and he will have difficulty overcoming the lack of trust in the future. Six words are important in a manager’s vocabulary. They are, “I don’t know; I’ll find out,” when a manager is faced with any questions or situations about which he or she can’t predict the outcome. In a colleague’s company, for example, a manager promised employees that they would receive comp time for working every weekend for six months. The manager refused to honor the promise because the project failed. At best, the manager won’t have any employees who are willing to work overtime now or in the future. Morale and motivation are shattered. And, at worst, the manager will lose the entire team. In this instance, all but two members eventually quit. •Fail to trust employees until an employee proves himself untrustworthy. Similar to dealing with offenders directly before subjecting all employees to rules, managers need to make trusting employees their norm, not blindly, but believe that the majority of employees are trustworthy. Then address untrustworthy behavior directly with the employee who is untrustworthy. When managers treat employees as if they are not worthy of trust, they will regard their manager with distrust in return. During an economic downturn, a colleague’s company announced that all exempt employees would be expected to work 7.5 extra hours per week without an increase in pay. The VP decided to check employee attendance by walking around to see if employees were working the extra hours. He even started spot-checking how long employees spent at lunch and breaks. Why was this stupid? Before the added requirement, almost everyone in the department had already been working 50-60 hour weeks, rather than the 35 expected hours. The manager’s actions inspired many employees to cut back on their hours to work just the hours expected. Plus, when he checked and found people in the cafeteria for 30 minutes instead of 15 minutes for what he thought was break, he took punitive action. He forgot to check whether the employees were actually in a meeting about work or on break. Distrust and micro-management breed distrust. Managers have a tough job because they deal every day with people. But, they don’t have to make their jobs even more difficult. Addressing management and employee interaction with common sense goes a long way toward developing an employee-friendly workplace. Positive employee morale, motivation, and engagement result when managers do the right things right with people. Vi säger ofta att lycka inte går att köpa för pengar men frågan är då vad som kännetecknar Sveriges lyckligaste människor. För att finna svaret på denna fråga anlyserades data ur ORVESTO Konsument 2013:3 där 13 880 svenskar mellan 16-80 har intervjuats. 31,3 % av befolkningen motsvarande 2,2 miljoner människor förklarade att de var mycket nöjda med sitt liv. Det viktigaste för att svenskarna ska vara nöjda med sitt liv är helt enkelt att man inte upplever några hälsoproblem (56,7 % instämmer helt) och så många som 47,2 % hävdar vikten av att leva hälsosamt. Människor som lever ett stressigt liv tenderar också till att vara mindre nöjda med sina liv. Behovet av starka relationer för att vara lycklig syns tydligt och hela 72,1 % betonar vikten av en stark relation till en partner. På samma sätt ser vi att lyckliga människor också trivs med att exempelvis bjuda hem gäster till sitt hem. Vi ser också en kraftig överrepresentation bland gifta/sammanboende. Människor som är nöjda med sina liv är också säkra på sig själva. Det syns bland annat i att lyckliga människor i betydligt större utsträckning anser att folk helt enkelt får acceptera dem som de är (73,6 %). Man anser också mer än andra att det är viktigt att vara välklädd och att sköta om sin kropp och sitt utseende. Även om lycka inte kan köpas för pengar så syns det glasklart att en stark ekonomi ökar förutsättningarna till att leva ett lyckligt liv. Och de mest nöjda har det bättre ekonomiskt än de flesta. Även om man inte behöver vara gammal för att vara nöjd med sitt liv så ser vi tydligt att Sveriges nöjdaste oftare är pensionärer. Vi ser att de unga inte alls på samma sätt är nöjda med sina liv. Landsbygd och lycka är tydligt sammankopplade och vi ser också ett starkt och levande intresse för det lokala perspektivet. Även om grundinställningen är lokal så syns det att lyckliga människor söker perspektiv genom att resa. De väljer att se världen och är således kraftigt överrepresenterade vad det gäller alla typer av resor. När man studerar olika fritidsintressen så ser man att det är “långsamma” aktiviteter som dominerar och det lyfter givetvis frågan om det helt enkelt är så att det är “långsamma” människor som också är mest nöjda generellt sett. Människor som är nöjda med sitt liv syns veta vad de har och är angelägna om att det förblir på det sättet. Som en konsekvens sopsorterar man och när man väljer bil är dess säkerhet viktig. Man är också generösare än andra med att skänka till välgörenhet och mer accepterande till att ta emot fler flyktingar och till att sänka sin levnadsstandard för att värna om miljön. …och är därför storspenderare vad det gäller blommor och trädgårdsartiklar. Samsung är det varumärke i Sverige som har högst anseende bland dem som inte är kunder till företaget, enligt en ny studie. Det är Stockholm Business School vid Stockholms universitet som har frågat drygt 5 000 svenskar om deras inställning till 60 kända varumärken. Anseeendebarometern har genomförts sedan 2003, ledd av Tony Apéria, ekonomie doktor och forskare i reputation management. I år delas de svarande för första gången in i kunder och icke-kunder. Enligt Tony Apéria visar undersökningen att Samsung är det varumärke som har högst anseende bland dem som inte är kunder i företaget. “Överraskande är Samsungs fina placering. Analysen visar att Samsung har tagit en stark position i kategorin Elektronik/IT”, skriver han i rapporten. Sämst anseende bland icke-kunderna har Telenor, Coop, Danske Bank, Telia och Nordea. “Det innebär att dessa företag kan ha svårt att rekrytera nya kunder”, skriver Tony Apéria. Högst anseende bland de egna kunderna har Volvo Personvagnar. Totalt sett har Ikea det högsta anseendet bland svenska konsumenter. Möbeljätten hamnar på Anseendeindex 77 av 100, följt av Apoteket på 76 och Ica på 74. Lägst anseende har Ryanair med index 29 av 100. Bottenplaceringar: fem företag med sämst anseende (0-100). Powered by WordPress v 5.0.4. Page in 0.337 seconds.